DR. Richard G. Leyba, DMD, Chartered. 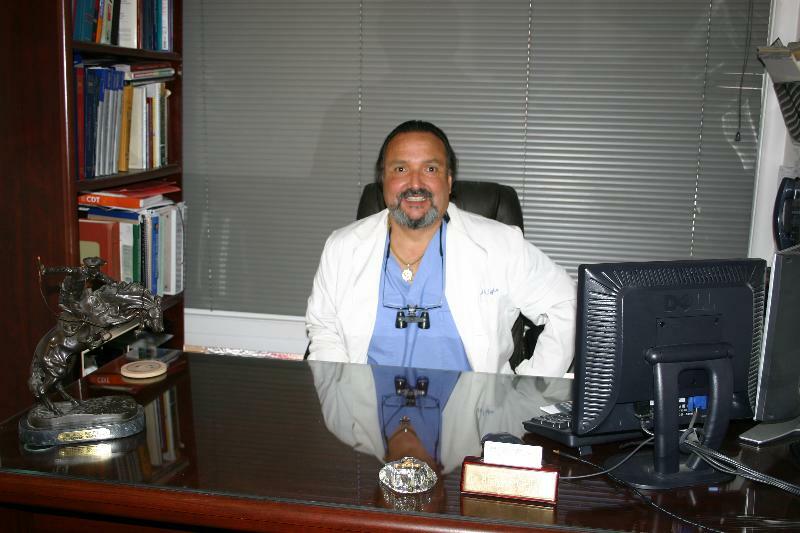 Dr. Leyba attended undergraduate studies at the University of New Mexico in Albuquerque from 1979 to 1984. He had just received his certificate as a Pharmacist intern when he was accepted to Washington University School of Dental Medicine in St. Louis Missouri. Dr. Leyba attended Dental School from 1984 to 1988. Upon graduation Dr. Leyba was commissioned as a Captain in the United States Army Dental Corps. From 1989 to 1992 he was stationed at Fort Knox Kentucky. During that time, he received advanced training in Surgery and Endodontics (Root Canals). Dr. Leyba served in the 1st Desert Storm/Shield and was awarded the prestigious Army Commendation Medal of Honor. Dr. Leyba was honorably discharged from active duty in 1992 and then served a additional 4 years as a Reserve Officer. In 1992, he came to Chicago and started in Private Practice. Dr. Leyba has now been practicing Dentistry for over 30 years. Dr. Leyba takes great pride in his Dental Practice and offers you only the best modern dentistry has to offer. As your dental health professionals, we want you to be confident knowing that we are a team of highly trained and skilled clinicians. We pride ourselves in providing the care you need to keep your smile healthy. To give you the best possible service and results, we are committed to continual education and learning. We attend dental lectures, meetings, and dental conventions to stay informed of new techniques, the latest products, and the newest equipment that a modern dental office can utilize to provide state-of-the-art dental care. Also, being members of various professional dental associations helps us to stay abreast of the changes and recommendations for our profession. Dr. Leyba is a member of the ADA (American Dental Association), ISDS(Illinois State Dental Society) and the CDS (Chicago Dental Society). Dr. Leyba is the President of the Chicago Dental Society Northside Branch 2017-18. Dr. Leyba has dedicated his life to providing you the latest and best treatment modern dentistry has to offer. With over 30 years of experience, you can be assured you will be in good hands.